“A banknote is an artistic work that tells a story and is a cultural ambassador for the country that issues it. It is also a technical demonstration of anti-counterfeiting means”. 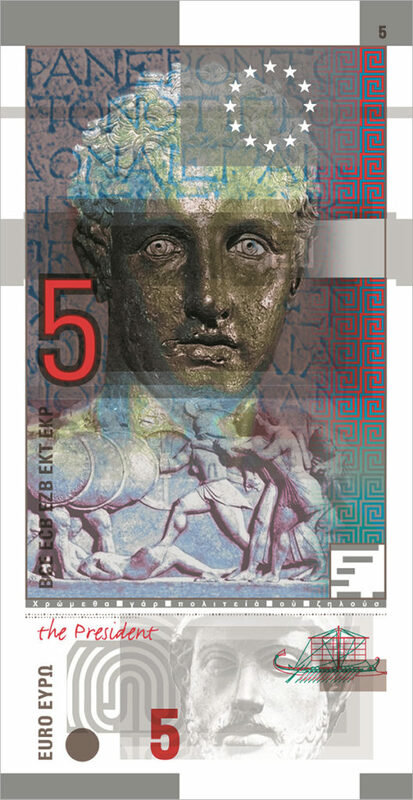 During the exhibition dedicated to him in Geneva by the Artvera’s gallery (http://www.artveras.ch/exhibitions/roger-pfund) from March to April 2018, NUMISMAG took the opportunity to interview one of the most famous banknote designer-engravers in Europe, and even around the world. At the dawn of his 75th birthday, Roger PFUND closed his design studio, but he remains active and his knowledge of creation in the field of secure printing more generally make him a recognized expert in this field. 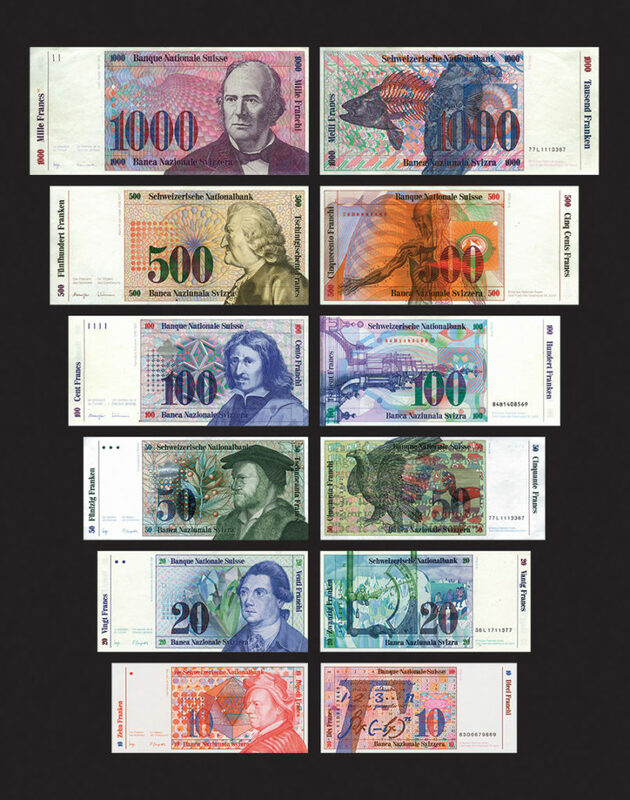 Roger PFUND is regularly consulted by central banks around the world when they are designing their range of banknotes. 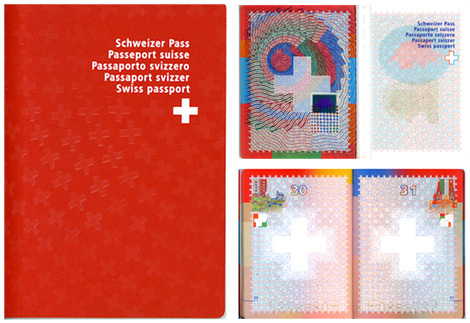 Still in the field of secure printing, he has created the current swiss passport. 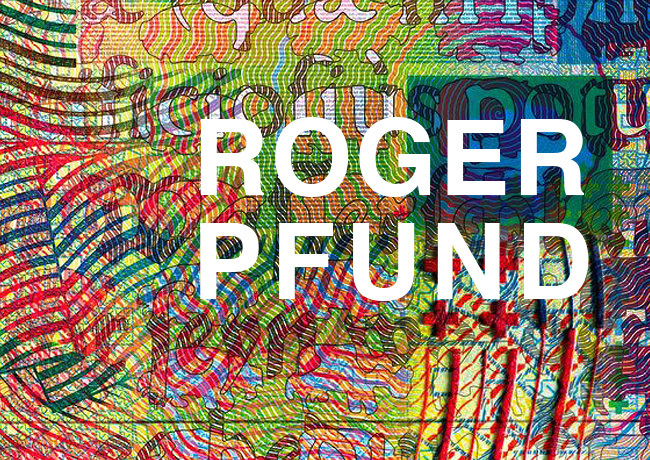 Roger PFUND has a very particular approach in the creation of paper money. 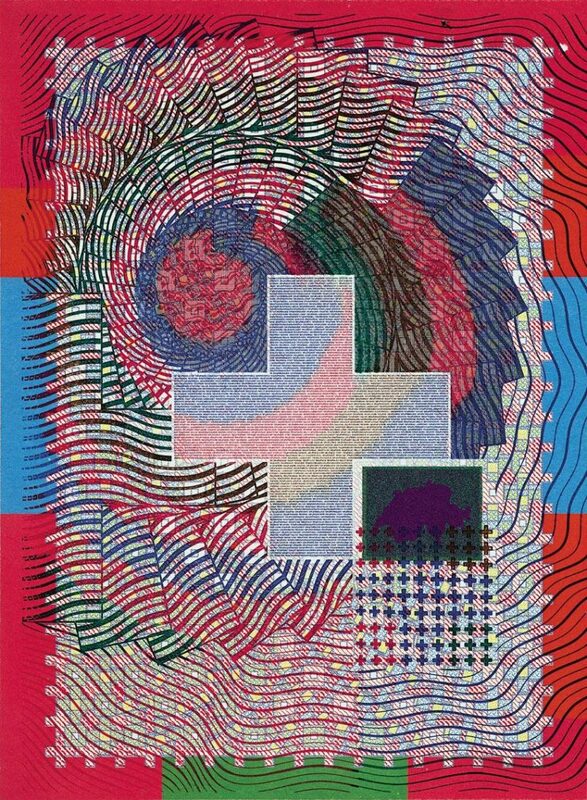 He first defines the format, the colors. He thinks of the note as part of the same series or family of banknotes. Roger PFUND then works on the theme of the note around the portrait that was chosen to decorate the vignette. He carries out very advanced iconographic studies. He then archives all these elements and calls on experts to validate the project. 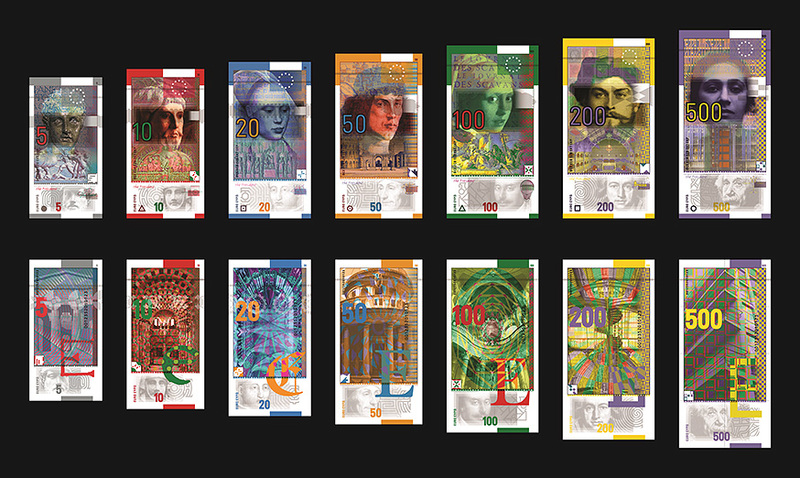 Roger PFUND then creates a model in which he combines the various elements that make up the banknote’s graphic composition. He first places the largest masses to go to the smallest details. 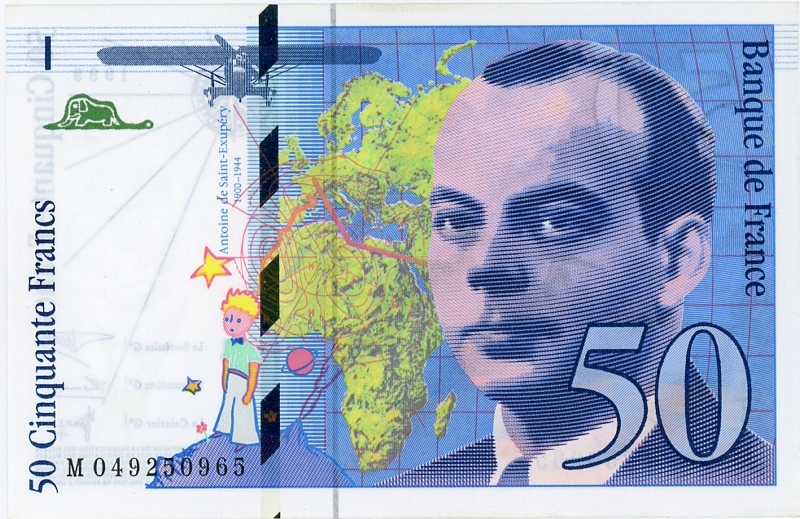 Roger PFUND began his banknote designer career in 1971 in a competition launched by the Swiss National Bank for the design of the new series of banknotes that the authorities wanted to implement quickly. 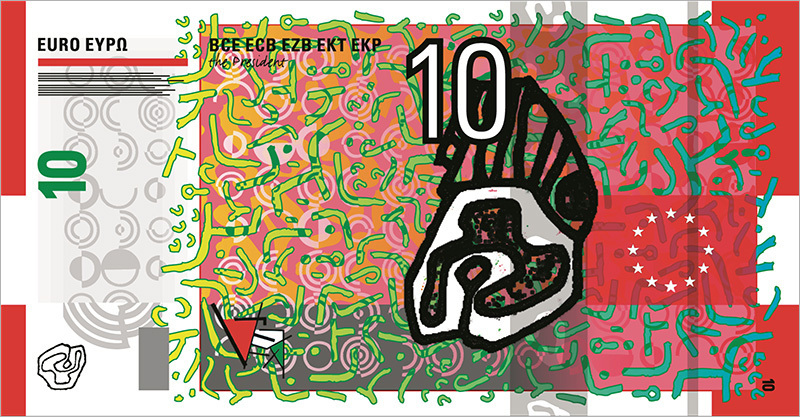 Following this competition, Roger PFUND was commissioned to design the seventh series of Swiss banknotes, which remained a series of reserve banknotes. Reserve notes are, as their name indicates, notes that are held in reserve in the event that all or part of the range of notes in circulation needs to be quickly replaced. Today these seventh-series reserve notes have all been destroyed. 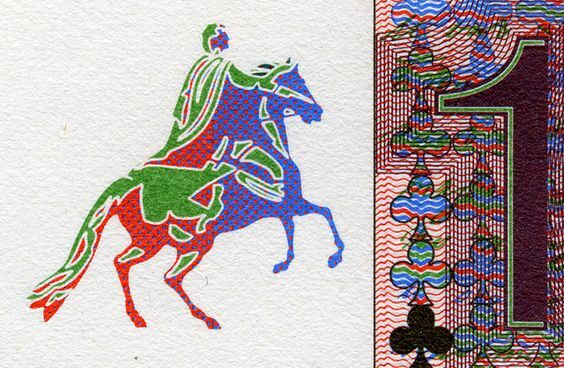 Roger PFUND has also worked on numerous free studies, such as a specimen note featuring the Russian poet Alexandre POUCHKINE and his fantastic short story “La Dame de pique” in the 1980s and 1990s. It was on the mandate of the Swiss companies Orell Füssli and Delarue Giori, that he designed this note highlighting the timeless artistic and cultural values of Russia. 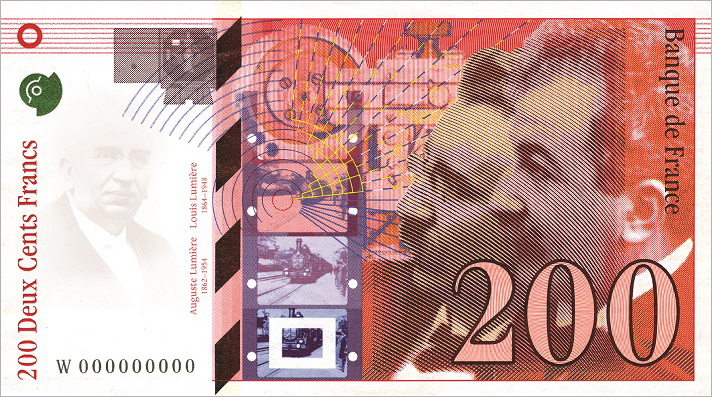 Roger PFUND is also famous for having designed the last series of French franc banknotes to have circulated in France before the 2002 euro changeover. 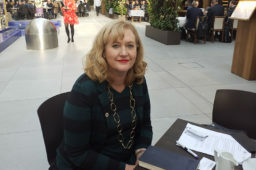 “I presented my project to the Banque de France, which was very interested, but during a working lunch, a manager told me that they could not entrust the design of French banknotes to a foreign designer. Being bi-national, I have two passports and I did not miss this opportunity to put my French passport on the table. So there was no longer any obstacle to this series of notes! ”. 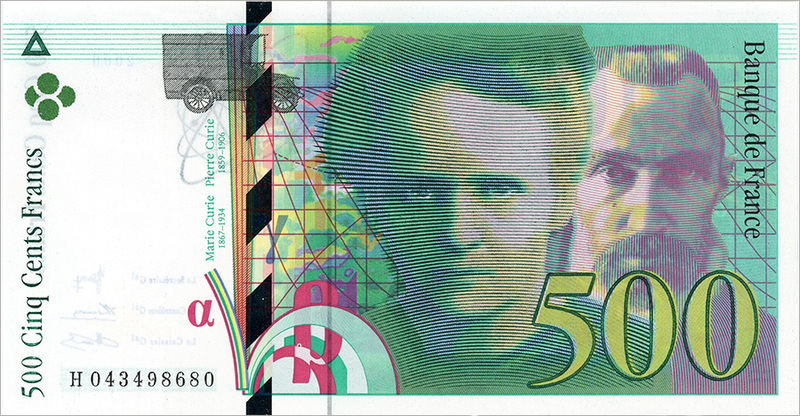 Roger PFUND worked for 17 years on this series, between the first research and the issue of the last note of it, the 500 francs note Pierre and Marie CURIE. This contract had been obtained at the time on direct mandate, without prior call for tender. He then presented a series of 317 historical or famous figures who could illustrate these notes. For each character, Roger PFUND and his team conducted hundreds of hours of research. 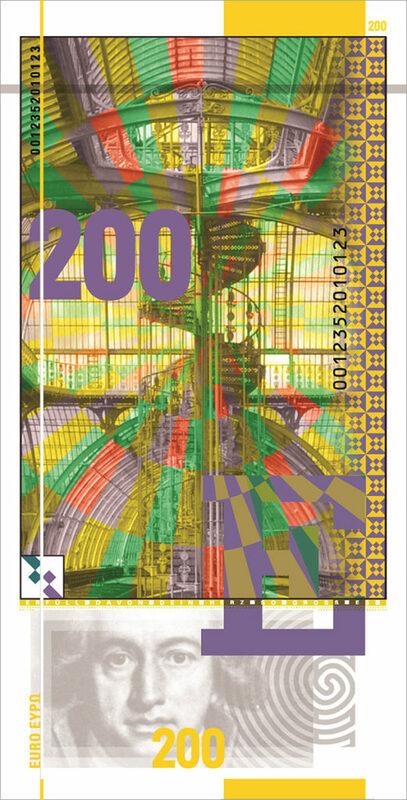 Also in this latest French francs banknotes series, Roger PFUND wanted perfect symmetry in the banknote illustrations. The two smaller facial values were to be illustrated by one character and the two larger denominations by two characters. ..replaced by F100 Paul Cézanne. 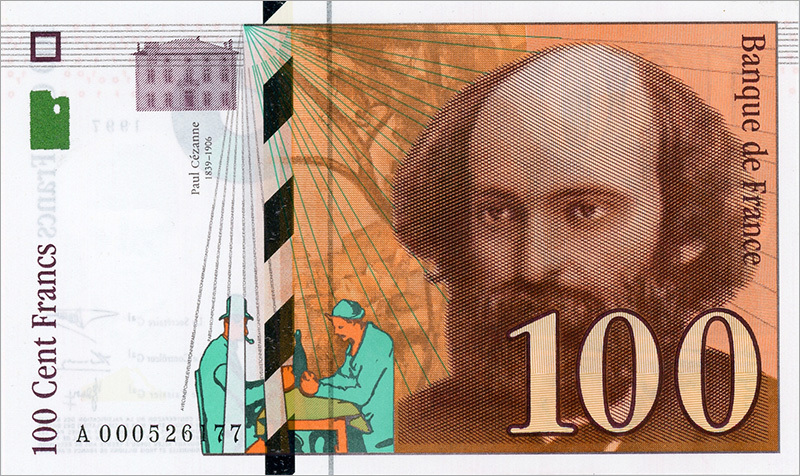 The F100 Cézanne was originally designed as a replacement note with a F500 face value. Unfortunately a polemic arose around the 200 franc note because the eldest of the LUMIERE brothers had shown sympathy with the Vichy regime. 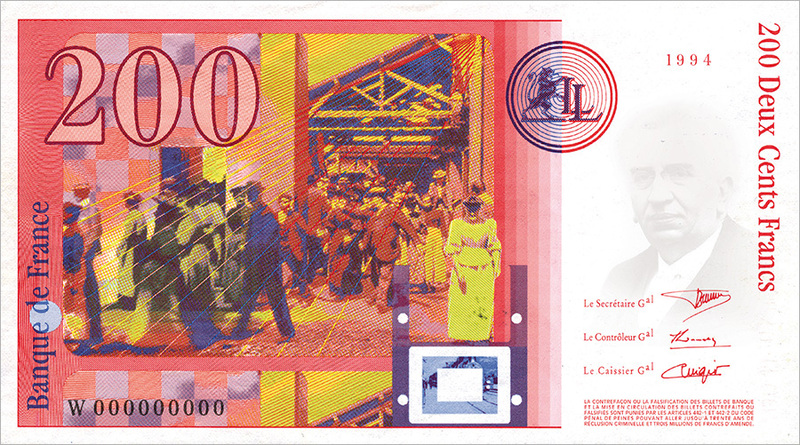 A banknote dedicated to the LUMIERE Brothers could not be issued by Banque de France under these circumstances. 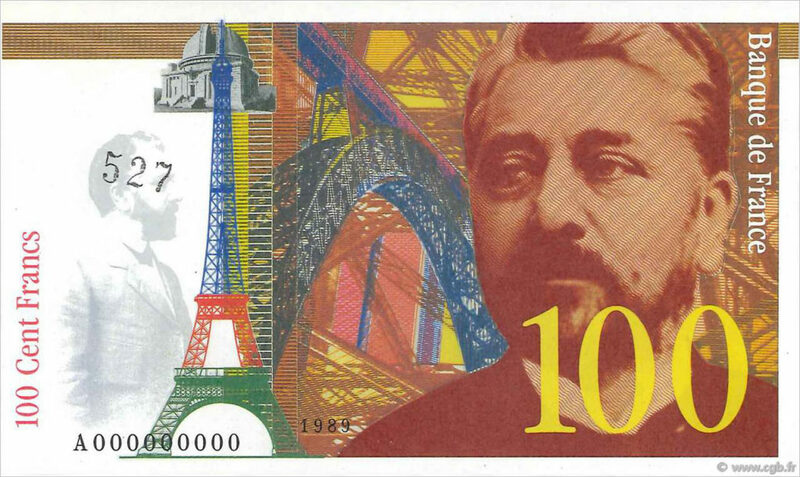 Also, the initial 100 francs EIFFEL banknote became the 200 francs EIFFEL banknote and a replacement note, the 100 francs Paul CEZANNE, was quickly developed. But Roger PFUND also took part in the two competitions organised by the EMI, the European Monetary Institute, ancestor of the European Central Bank. 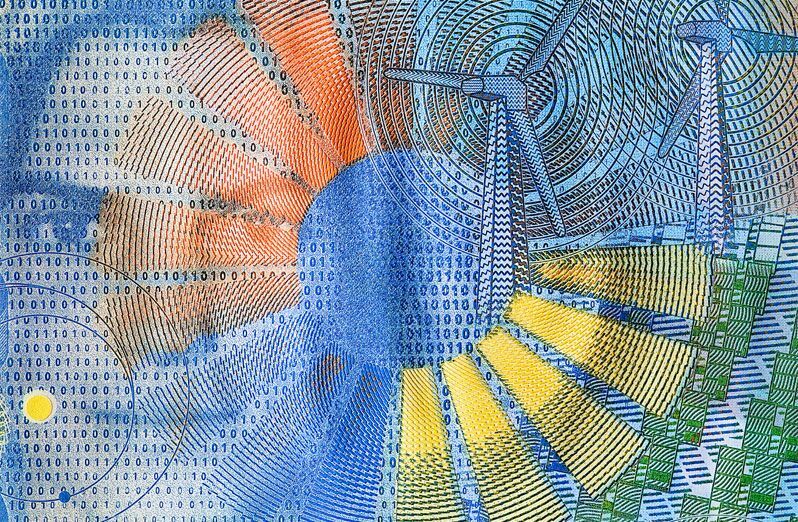 He won both competitions, but it was the Austrian Robert KALINA’s project that was ultimately chosen by the ECB, probably because the latter was poorer in terms of both security graphics and illustrations. The ECB wanted a neutral means of payment that did not put one or more countries ahead to the detriment of the other member states of European Union, or even to the detriment of future accession countries. However, it is a mistake to think of a banknote only as a means of payment. Roger PFUND is convinced of that. He adds, “Otherwise how else can we explain that the first concern of any new country gaining independence in the world is to design a currency of trust. The ticket is a social media before time. It always has been and always will be! ». ROGER PFUND has carried out many other projects. 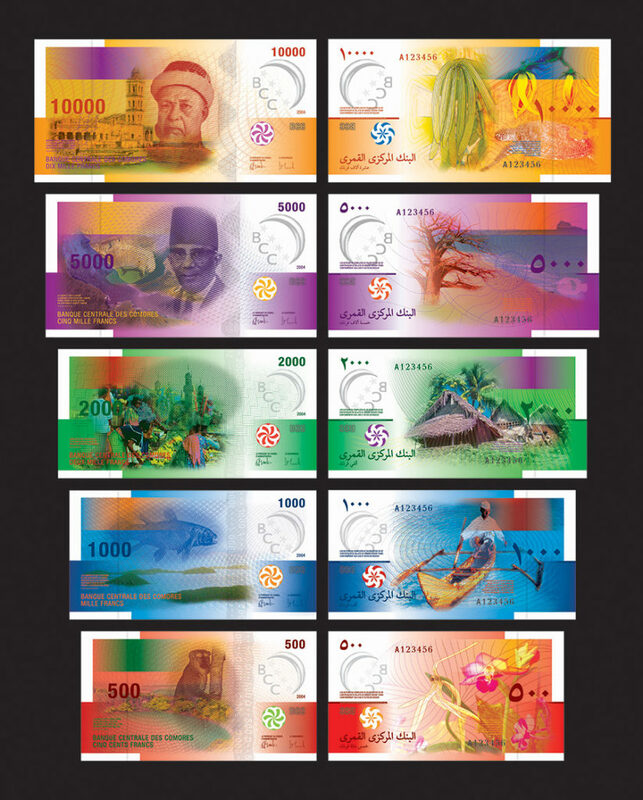 These include a series of circulation banknotes for the Comoros (2006), produced by the Banque de France on behalf of the government of the archipelago. 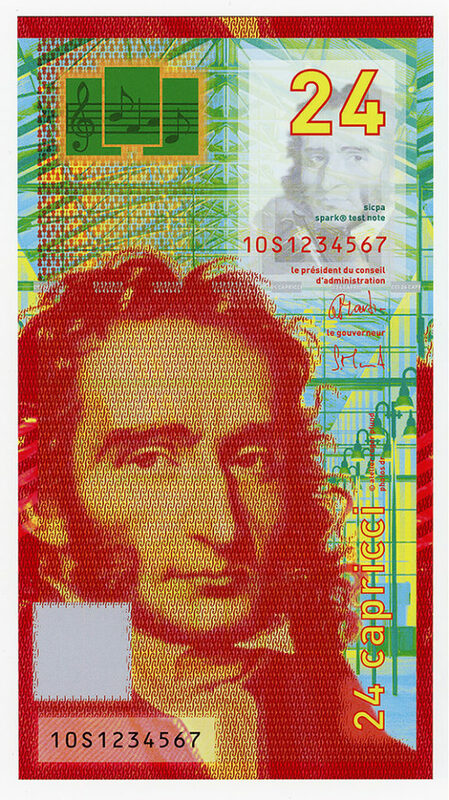 The 1000 franc note in this series was awarded the IBNS prize of the same year as the most beautiful note in the world. 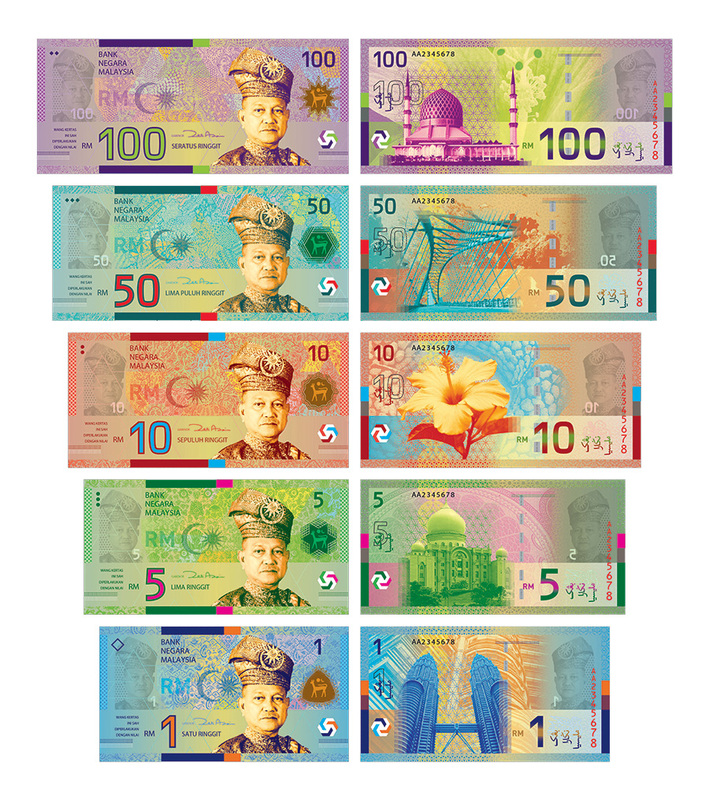 He also worked on a series of bills for Malaysia. 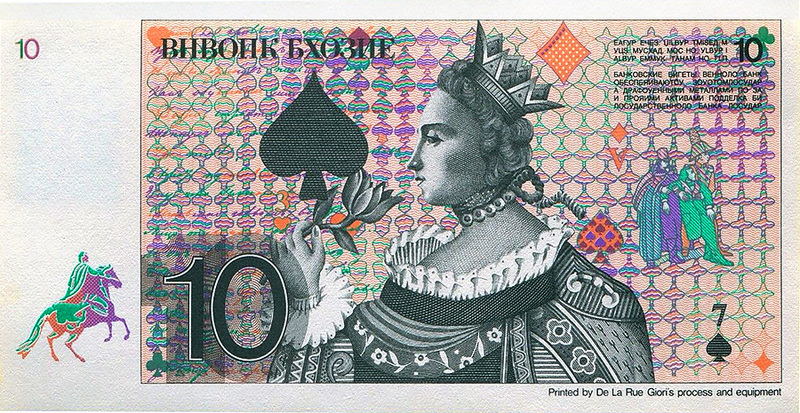 His project was not retained, but one immediately recognizes the artist’s leg when one discovers the banknote projects of this series, whether for the chrome or the composition of the illustrations. 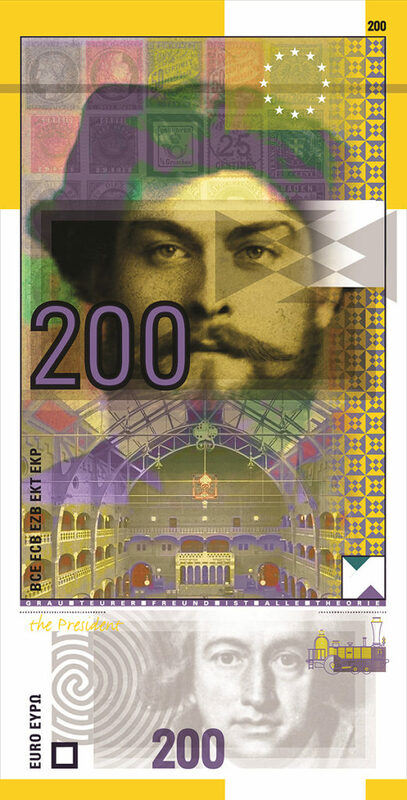 More recently, at a meeting of the world’s central bankers in Washington in 2012, he presented a polymer note dedicated to Jules VERNES and his emblematic novel “20 000 places under the seas” on the obverse. 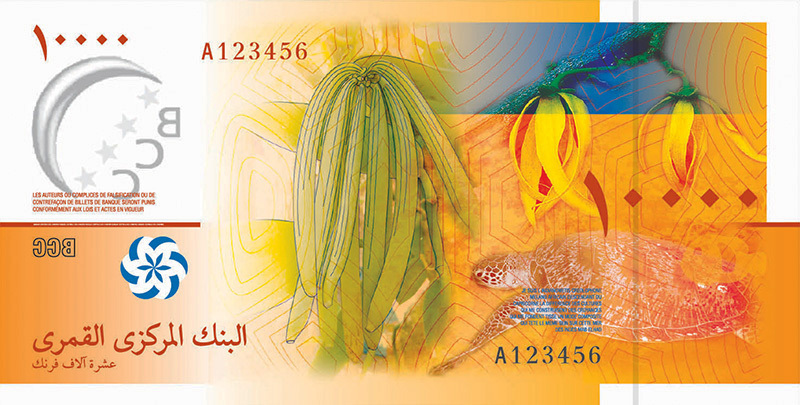 The reverse is dedicated to the “Around the World in 80 Days”. Hence the face value of 80…days. This graphically elaborate note presented the best that could be done in terms of printing and integrating the most advanced security elements on polymer substrates to date. 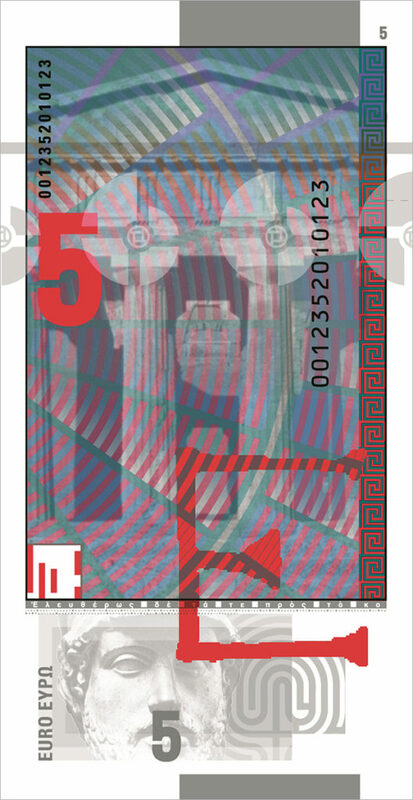 The note features a small volumetric silver octopus. This project was developed in collaboration with the largest players in the value paper industry, including the machine manufacturer KBA-NOTASYS, the ink manufacturer SICPA, the printer ORELL FÜSSLI, the diffractive element supplier KÜRZ and the polymer suppliers INNOVIA and SECURENCY. 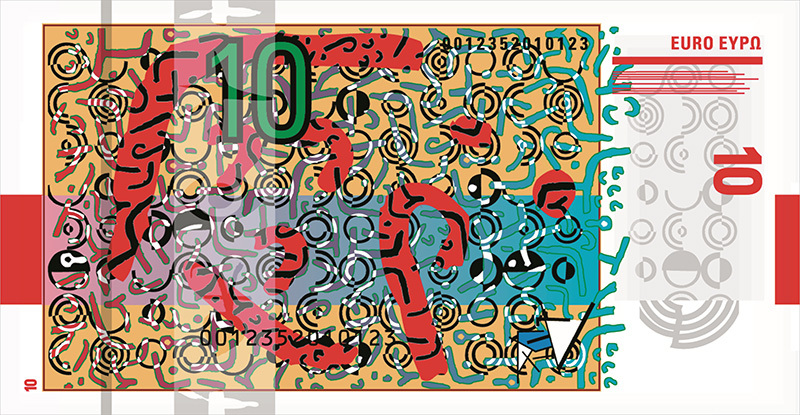 The Franco-Swiss artist also produced a commemorative note for MOROCCO. 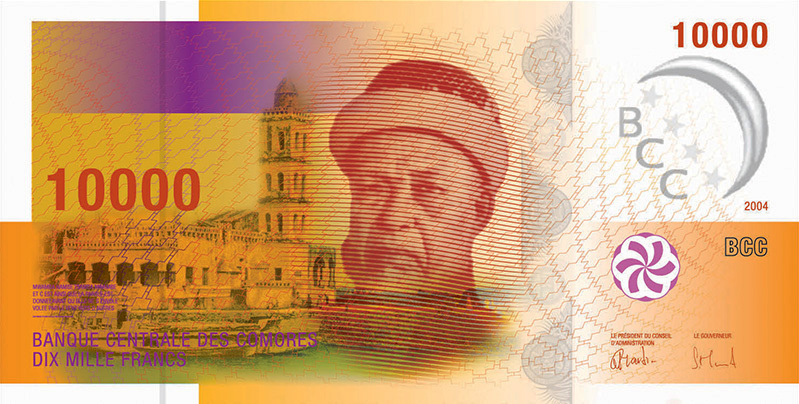 This one celebrates the kings of Morocco on the front, with the portraits of MOHAMMED V and VI and HASSAN II and the 50th anniversary of the Moroccan central bank on the back with a drawing representing the bank’s headquarters in RABAT. This note was issued by BANK AL MAGHRIB in 2005. It has a security thread with the Arabic word “BANK AL MAGHRIB”. A transparent window changes color from green to pink. The face value of this note is 50 Dirhams. 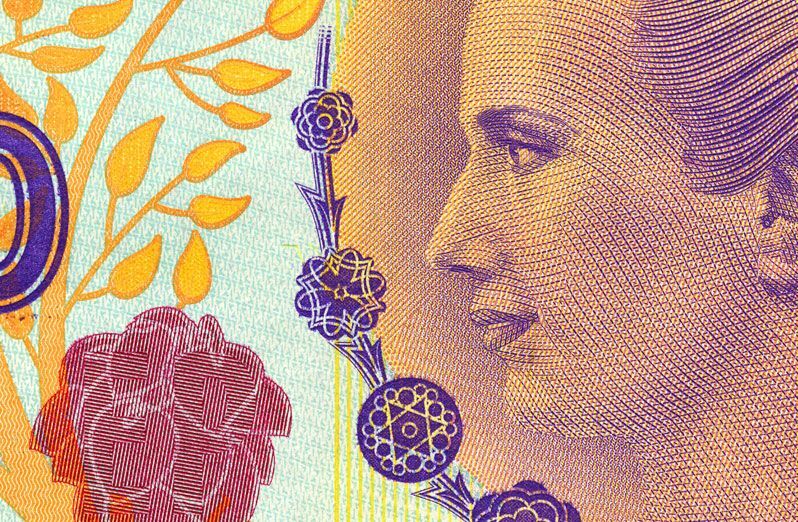 He made a 100 pesos note for Argentina commemorating the 60th anniversary of the disappearance of the Argentine heroine Evita PERON. The ticket was presented to the public by President Cristina FERNANDEZ in July 2012, in the presence of Roger PFUND. A 5 pesos note had been foreseen at the death of Evita PERON but the coup organized by her husband had postponed the issue of this note. On the front is a portrait of Evita PERON and flowers and leaves of ERYTHRINA, Argentina’s emblematic plant. On the reverse is a low relief of Augustus’ Altar of Peace in Rome. Offset printing, SPARK screen printing, soft cut on watermarked paper and security thread. On the front of the note is the words “As a woman, I feel in my soul the warmth and tenderness of the people from whom I come and to whom I have a duty”. On the back, it says, “A popular leader who fought for the rights of the most humble and vulnerable workers by carrying out the laborious work of social justice. She advocated for women’s participation in politics by strongly promoting their suffrage – a women’s right that was finally granted legally in 1947 and actually exercised, for the first time, in 1951. 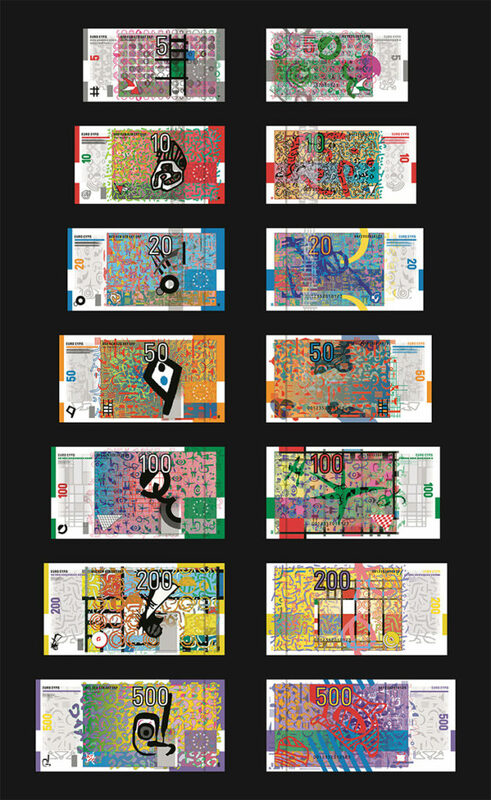 This post was selected by Krause Publications for the 20th edition of its Standard Catalog of World Paper Money – Modern Issues 1961 – Present. Roger PFUND is not only recognized professionally in his own country or in France. He is regularly consulted by monetary authorities around the world in his capacity as an expert in security paper and more particularly in security design. He worked for the Chinese government on the latest range of bank notes as an external consultant. And still in the field of secure printing, he has created the current Swiss passport. The last project in which Roger PFUND participated was the design of the investment parts issued by the Swiss company SWISS BULLION CORP GENEVA SA. This company has developed a range of monetiform products in precious metals such as silver, gold or platinum. 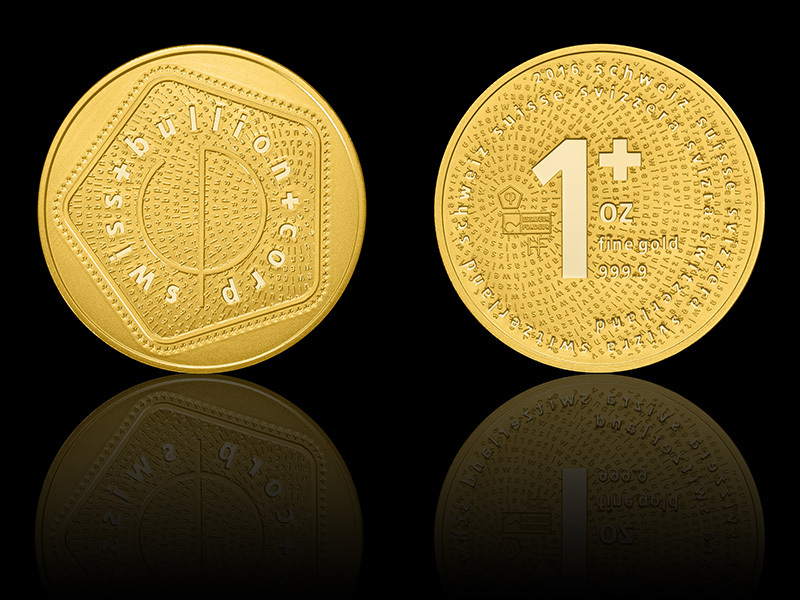 For the latter, the 1 oz coin is struck for the first time on blanks of 999.9 thousandths purity. The flagship product of the range is the module of one ounce of 24-carat gold. Roger PFUND collaborated on this project by developing a whole security design in 0.2mm micro letters, on the whole surface of the part. “This was not easy,” adds Paul NOEL, CEO of the Swiss company, “because 24-carat gold is soft gold. To be able to strike Roger’s original design, we had to develop an innovative metallurgical process to harden the gold. The result was a 24-carat investment product, the highest standard on the investment gold market, secured by a PFUND design. The name ROGER PFUND stands out around the cross on every obverse of the products in the SBC range. This 100%”swiss made” product was a real success. Paul NOEL has sold over 50,000 units since the launch of SBC in 2013. Since 2016, these parts have been secured by “phygital” technology in order to be identifiable and authenticatable. The products of the company SBC are minted in BU quality by the company HUGUENIN, with the symbol “phy” of the company SBC, registered with the Swiss authorities as an issuer of coins under this different quasi-monetary. His last work consisted in designing a graphic for the circular gold banking bars (designation according to swiss gold legislation) issued by the Swiss company Swiss Bullion Corp Geneva SA, directed by Paul NOEL. 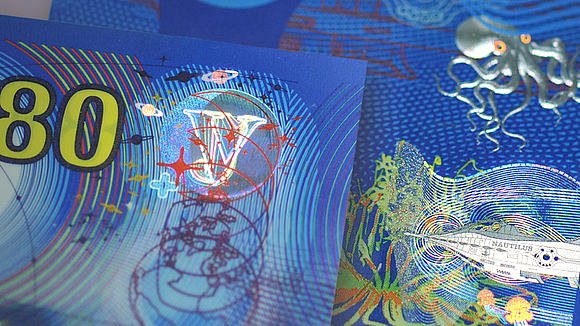 Roger PFUND is, it will be understood, very sensitive to the quality of bank note design. He always carries a $10 bill that he does not hesitate to take out of his wallet whenever he has the opportunity during a conversation. He then adds, with humour, “the perfect example of what should not be done… unless we want to facilitate the work of counterfeiters! Another short anecdote, his meeting with Federal Councillor Doris Leuthard in China. Doris Leuthard also took advantage of her stay in China to meet Roger Pfund and admire some 500 paintings by the Geneva artist on display at the Today Art Museum in Beijing. The artist showed him the 4’000 square meters of the exhibition dedicated to him in the prestigious establishment. In her speech to Chinese personalities, the Minister of Economy described Pfund as “our country’s best ambassador”, reported “Le Matin” on Monday. “Art is the best way to create a relationship of peace, joy and understanding between peoples,” she said. He is also a multidisciplinary artist whose fame has also spread beyond the borders of Switzerland and even of Europe. For example, the Today Art Museum in PEKIN held a retrospective exhibition in 2008 on more than 4,000 meters square. 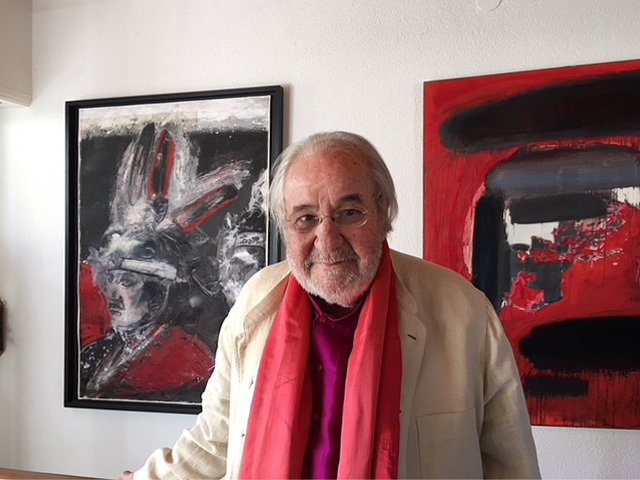 In 2013, another exhibition took place at the Musée d’art et d’histoire of Geneva where 250 pieces, including paintings and posters were exposed(during his career, he produced nearly 1,000 posters, many for the Grand Théâtre de Genève). Sources: Roger PFUND and NUMISMAG©. I appreciate this work so much. Design is the most creative work . 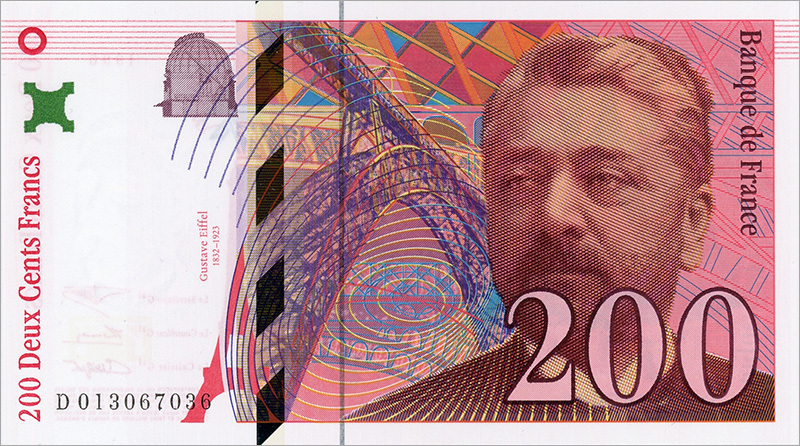 Roger PFUND is one of the most talented banknotes designer, to our point of vue as well.